If you consider yourself to be a bit of an action junky then we think you’ll fit right at home with Spinzwin Casino. This is a casino which is all about the action and you’ll get that sense right from day one. The homepage to Spinzwin Casino features the Jurassic World slot as their background with T-rex and all. This actually suits the green, yellow, and red colour scheme that’s used here too. Jurassic world doesn’t take up the whole of the homepage however…Spinzwin Casino has too many things they want to show you to allow that. Instead you’ll find a large portion of the site’s homepage is dedicated to their new player welcome bonus. Once your eyes have had their fill of that you’ll they’ll then want to turn their attention to the list of featured games on their site along with a running list of recent winners. This should give you a good feel for what the site is like and what you can expect when joining. Spinzwin Casino has a pretty decent new player welcome bonus for their players. 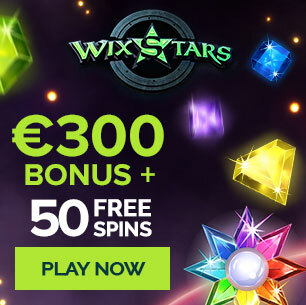 We say that because it’s one that will give players both a lot of free cash as well as some free spins. This way it should appeal to most if not all players. You get 25 free spins on NetEnt’s Aloha Cluster Pays when you make a deposit on this site. This isn’t a very common slot to get free spins on either so well worth your time. In addition to the free spins you’ll also have your first deposit doubled on deposits as high as £200. So there’s plenty to be had from Spinzwin! There are three main areas to the gaming section here at Spinzwin Casino. The slots, the casino, and the jackpots section. The casino section is where you’ll find all of your regular and live dealer casino games. The slots are of course for the various slot games. And the jackpot section is where you’ll find all the big payout progressive jackpot slots. The quality of these games will never be an issue either as you’ve got the likes of NetEnt; Thunderkick, Microgaming, and Barcrest leading the line. Overall then we’d have to give Spinzwin Casino a massive thumbs up from us. They have an action packed theme, a pretty cool welcome offer. Not to mention they have all our gaming needs covered as well!